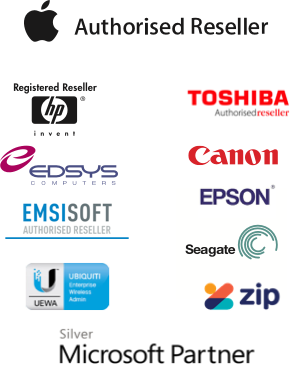 South West ComputAble has been the trusted supplier of technical support, hardware, software and IT services to business, education, primary industries and homes throughout the Margaret River / Capes region since 1994. Based in excellent premises centrally located in the town of Cowaramup (minutes from Margaret River and Busselton), you will provide a wide range of on-site and in-house support services, from simple to complex, to our many clients. It is a position of responsibility where you will be the face of the business while carrying out your work, but also receive full support and resourcing from the team. A major role will be workshop and remote repairs, upgrades and configuration, so proven experience with, and a thorough working knowledge of, all current and recent Windows and MacOS versions; Apple and Windows hardware and software diagnosis and repair (both local and remote); experience with configuration of iOS and Android mobile devices, and a wide range of general skills. Highly regarded will be knowledge and skills in wired and wireless networks and experience in configuration and IP addressing (routers/APs/email/web/MS Exchange Online). Any sales or management experience, though not essential, would be valuable. You will require at least two full years experience in a similar role, good references, good health, a clean driver’s license and a good sense of humour! Extra qualifications and related skills would be well regarded, as would sales skills and current knowledge of Mac OS and Windows products. A salary package that includes uniform, incentives and training opportunities will be negotiable commensurate with your experience and what you can bring to the business. It’s an important, professional job, and a great place to work. If you fit the bill – we’d love to hear from you. Please note that this is not a position for trainees, or those without the necessary pre-requisites. Traineeship opportunities will be advertised when available. Please note, that we will only respond to genuine applicants currently residing in and eligible to work in Australia. Please do not apply if you are not ready or eligible to start without complication. Thank you to all the applicants. The position below has now been filled. Please don’t hesitate to apply for future positions as they become available. It is a senior position of responsibility where you will be the face of the business while carrying out your work, but also receive full support and resourcing from the team. A major role will be with network clients, so proven experience with, and a thorough working knowledge of, wired and wireless networks, virtualisation and general business computing infrastructure is required – both hardware and software. You will also need a thorough working knowledge of all current and recent Windows and MacOS versions; Apple and Windows hardware and software diagnosis and repair (both local and remote); experience with configuration of iOS and Android mobile devices, and a wide range of general skills. You will require at least five years experience in a similar role, good references, a clean driver’s license and a good sense of humour! Extra qualifications and related skills would be well regarded, as would sales skills and current knowledge of Mac OS in addition to Windows. A good salary package that may include car, phone, uniform, incentives and training opportunities will be negotiable depending upon what you can bring to the business. It’s an important, professional job, and a great place to work. If you fit the bill – we’d love to hear from you. We have a very low staff turnover rate, so opportunities don’t come along very often! For those of you who suitably qualified who have dropped in your resume when there haven’t been any current positions, please feel welcome to apply. Please note, that we will only respond to genuine applicants currently residing and eligible to work in Australia.